You know the who, the what and the where of social media. But the most important thing for you to know is the HOW and WHY social media is so important for your business. Leading marketing experts agree that there are stars of the show when it comes to which social media platforms are the most effective and worthwhile vehicles through which millions of brands are reaching their target audiences. Here is HOW those shining stars are proven to be successful in growing business. 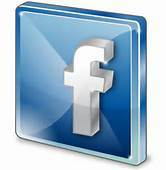 Facebook– only about seven percent of adults in the United States are not on Facebook. It offers businesses a way to connect with consumers on a daily basis. Its versatility allows your consumers to connect with your brand on multiple levels, whether they like your photos, need your phone number or want to check out your place of business. Facebook is many platforms in one. LinkedIn– considered the underdog, LinkedIn is actually a very powerful tool. As much as 64 percent of traffic to corporate websites comes from LinkedIn. It is the most popular social media platform for the professional world because it provides a business-centered environment where individuals are making connections based on their skills and industry strengths. It is a place to show off your credentials, education, capabilities and present yourself as an industry expert by sharing your knowledge via group discussions and forums. Twitter– Though not as content heavy as Facebook and LinkedIn, Twitter is also an effective tool to drive traffic to your website. With the proper use of hashtags, you can use Twitter to garner impressive SEO results. Another benefit is the real-time connection that you make with your consumers. Marketing research shows that Twitter is growing as a popular social media tool. The site saw a 900 percent user increase in just one year between 2013 and 2014. Your social media presence is one of the most important elements of your branding strategy and the team at Susan J. Campbell Copywriting Solutions has the skills and knowledge to capitalize on the potential success that can be garnered from effectively using social media. Let us help bring your brand to the next level by contacting us today. This entry was posted in Social Media and tagged different social media platforms, marketing on social media, social media and business marketing, social media platforms, Susan J. Campbell. Bookmark the permalink.